(Submit a suggestion or comment below about our mobile site?) NeoReader® is a great code scanner! 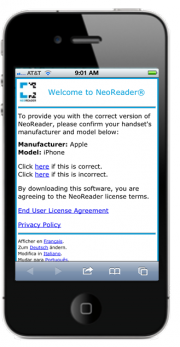 Download NeoReader direct from your mobile phone!